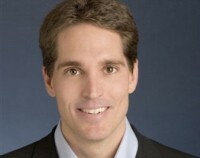 Jason Kilar, former CEO of online entertainment streaming service Hulu, has revealed further details of web video operation Vessel which aims to provide early access to the web’s best short-form videos through a low-priced subscription service. In a blog post, The First Window for Web Video, Kilar notes that over the past few months, there has been a fair amount of speculation about what has been happening at Vessel. “In advance of our consumer launch early next year, we’d like to share a bit about our mission and what we have been building,” he writes. “Our team is full of people who are unusually passionate about media and all that it can be. Around the time that my co-founder, Rich, and I started Vessel, we observed that the audiences so coveted by traditional TV were gravitating toward a new generation of digital storytellers. Many of these voices have become brands in their own right, building passionate audiences that rival the size of the most popular shows on network and cable TV. We are eager to help recognise and foster the explosion of new, talented voices,” he says. “This is not just a creator problem – it’s a consumer problem too. Challenging economics constrain which ideas creators can afford to pursue. This means fans may never see a creator’s next big idea, or experience it in the way it was originally envisioned. Making things worse, some creators feel the need to ‘graduate’ to another medium (e.g., traditional television) to make more money, leaving their digital audiences behind. In this process, the creator often cedes control and stops making the content fans want most,” he observes. “We believe in a world where consumers can enjoy top quality content online – a world where creators can build real businesses and take their productions to new heights. This is why we created Vessel,” he states. “Vessel provides early access to the web’s best short-form videos through a low-priced subscription service. These videos are presented in a beautiful, curated experience dedicated to creators, the stories they tell, and the fans who follow them,” he says. “Early access on Vessel will be offered for only $2.99 a month, a low price made possible by incorporating a modest amount of advertising. For those not as interested in early access, we also have a free, ad-supported version of the service, where videos become available after their early access period,” he advises. According to Kilar, Vessel’s business model (subscription + advertising) will deliver unusually attractive economics for creators, allowing them to pursue their dreams and share ever more ambitious work with their fans. “During the early access period on Vessel, we estimate that creators will earn approximately $50 for every thousand views (up to 20x the levels earned from free, ad-supported distribution). After Vessel’s early access period, creators will continue to earn money through distribution of their videos on the free, ad-supported web – on Vessel and anywhere else they choose. Free, ad-supported distribution plays an important role in the future of video, and we do not see that changing. Vessel was created to serve as a critical, missing piece of the puzzle for content creators, with Vessel playing one part among many that collectively help creators achieve their dreams,” he declares. “Today, we are officially opening the Vessel service to creators from around the world. We are referring to this as Vessel’s Creator Preview. Each day, there will be more and more creators loading their videos onto Vessel in preparation for our upcoming consumer launch. We will work with creators to ensure that their videos, shows and channels look amazing,” he confirms. Kilar notes that there are already a large number of creators who are in the midst of loading their content onto Vessel. “These creators represent the best of the web – from both new and traditional media. Each day, more premium video creators will join Vessel and share their content for early access. We look forward to making this content available to fans,” he says. “If you are a creator (or content owner) with a passionate following and a desire to build a meaningful business, apply to join our community. If you are not a creator, but want to receive an invitation to try our service when we make it available to fans early next year, you can do that here. Bringing positive change on this level won’t be easy, and we recognise that it won’t happen overnight. However, we have great conviction that we can help the Internet deliver on its potential for consumers and creators. We take inspiration from the gifted storytellers and business leaders before us who travelled similar pioneering paths as they fashioned the film and television industries. We are ready for what will surely be an epic third act,” he concludes.